I've reviewed my share of power banks in the past. 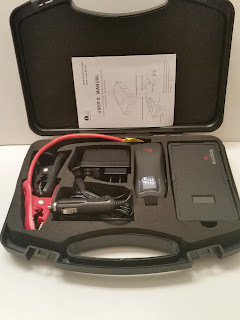 The latest one I got to try out is the 1byone Multi-Function Jump Starter. Not only is it your standard portable battery that will recharge your phone or tablet when it runs out of juice, but it can also jump start your car off a single fully charged power bank. The basic power bank offers 9000 mAh of power. It has a single 5V / 2A output port for charging your devices. It recharges off a 14V / 1A port. Recharging itself works either from a regular power adapter or more quickly straight from the cigarette lighter of the car. The magic of the charger comes in that top port there. With the addition of the jumper cables provided, you can jump start a car with a dead battery. It will restart up to a 5 liter vehicle. In addition to the charging features, you get a few other things, too. First off, there is an LCD display that indicates how much power the battery has left. Secondly, there is a flashlight with the device. I've never understood the need for one in a regular power bank. However, since this power bank is meant to be kept in the car, I can actually see why you could use it. The flashlight even has an SOS flash mode that can last 120 hours if you're fully charged. (I didn't verify the timing of leaving it flashing for five days. The timing is taken from the description.) A long press on the power button will turn on the flashlight. Once on, a short press will enable SOS mode. My favorite part of the power bank is the case it comes in. Since the battery pack is meant to sit in the car, the case easily sits in a car's trunk or under the rear seat of our SUV. Overall impression of the device is I like it a lot. It will probably get the least use of all the power banks that have come across my desk though. After getting, its main purpose is to just be left alone in the car, similar to what you do with a set of jumper cables. 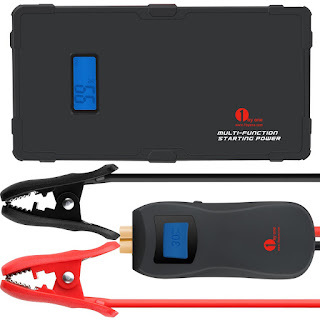 You can certainly use it to recharge your phone if you're on the road or camping, but you don't want to totally drain the device to be able to jump start the car. I do wish I had this a couple months ago though, as that is when my battery last died, and I ended up buying a new one. I could have used it then. My only complaint about the device is the price of $80, and I'm not really sure if it is a complaint. 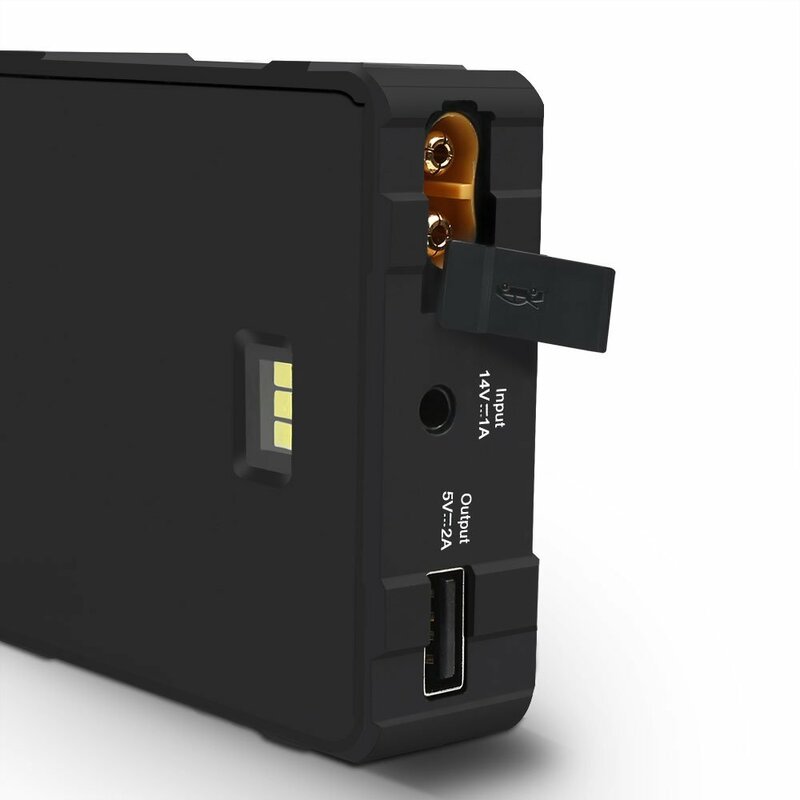 For a 9,000 mAh power bank, that price is high. However, when you take into effect the fact that it can jump start your car, that isn't so far fetched a price. I don't think I'd be happy at the full price of $160, but the sale price of $79.99 seems justified.